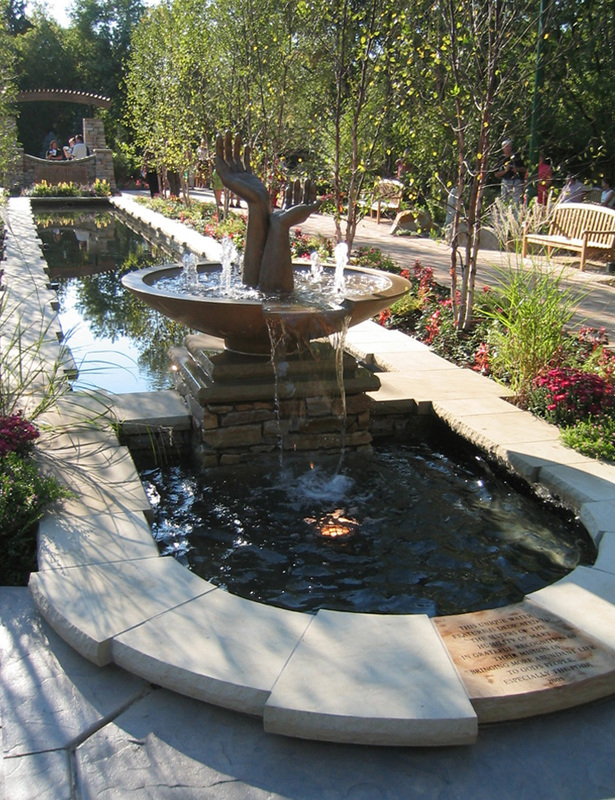 The St. Joseph healing garden uses a combination of plants, water, and rock to create a contemplative setting. Native plantings that attract birds and butterflies, sandstone walls and boulders, and rustic river birch trees create a naturalized landscape that encourages families to gather, rest, pray, and meditate. The garden's focal point -- a linear reflecting pool with sculptural fountain -- further defines this garden as a place for healing.